Pope Francis encyclical Laudato Si on climate change was launched over the summer on the 18th of June and it has had an enthusiastic and wide reception with not only Catholics commentating on it but also climate scientists, world leaders and secular green groups and individuals. 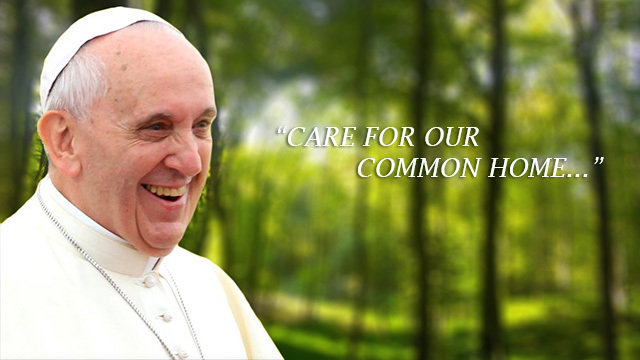 The encyclical itself is not just focused on the issues of climate change however but the interconnectedness between humanity and creation and how we should be taking care of creation “care for our common home” and what God has given us. In chapter two, entitled ‘The Gospel of Creation’, Pope Francis recognises that many people believe they could face the inherent problems created by climate change without religion. However, he explains that if we have to change the damage we have already caused, “no branch of the sciences and no form of wisdom can be left out… Many Catholics have educated themselves to see that faith is not opposed to reason.” Therefore the faithful can and must contribute to finding a solution to the challenges faced by the climate and the whole of creation. The rest of Laudato Si focuses on Francis own personal insights as well as new strategies and plans, not only to take action but future conversation about the climate and the world as a whole. The encyclical wasn’t just written for the Catholic community but everyone as he states at the beginning of the document. Pope Francis’ inspirational intervention reminds us that everyone is called to look after the creation that they are a part of, everyone is called to take steps to reduce their negative impact on the environment and everyone is called to help prevent the devastating impacts that climate change in the future could bring. 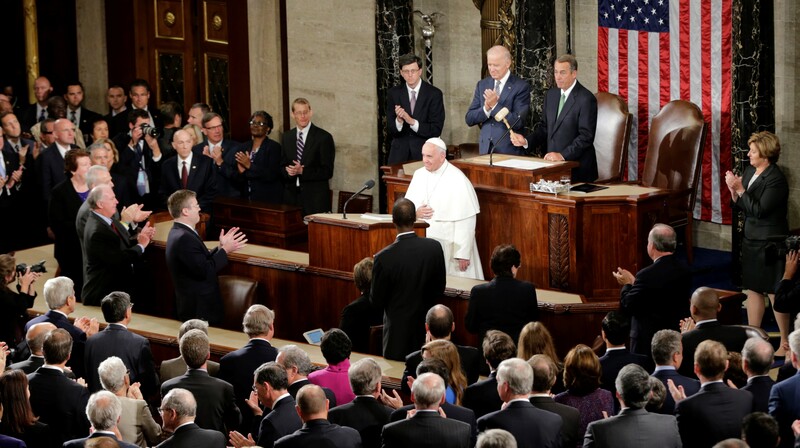 The message of the encyclical was an even greater agenda to bring forward when the Pope visited the US at the end of September. The key themes that were brought by the pontiff mainly the imbalance of power within political, social and economic spheres being the main obstacles to a truer sustainable environment whereby all people have the same opportunities and the poor are looked after. 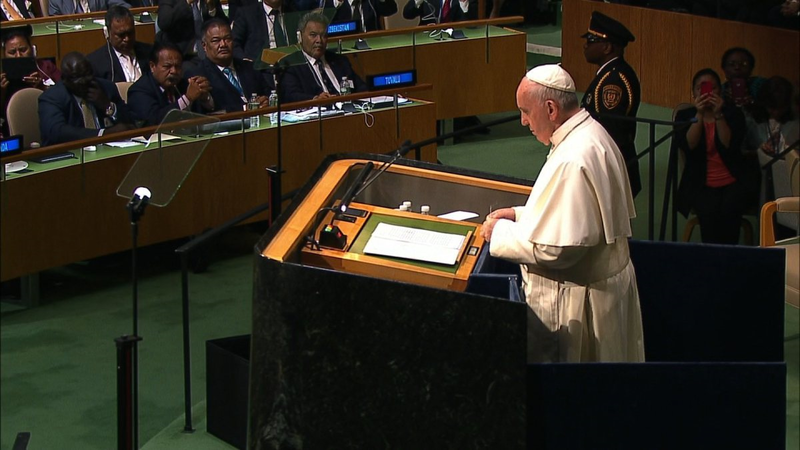 Pope Francis’ hard hitting and passionate speech at the UN was received rapturously by many world leaders, civil society groups and individuals from around the world despite its deeply challenging content at times. It’s true to say the pope’s intervention has given the world a challenge to respond to but the opportunity to positively reflect on be beauty of creation and how we can care for it and the poorest of our sisters and brothers. 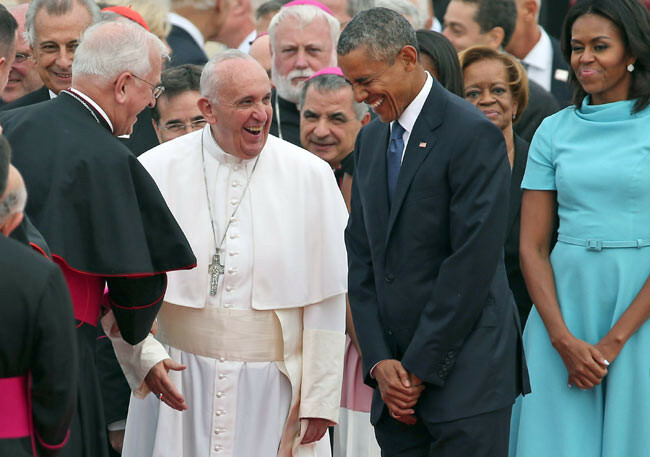 The Pope’s speech to world leaders is all the more significant because, at the UN Climate Conference in Paris later this year, world leaders will be asked to commit themselves to drastic reductions in carbon emissions up to 2030. 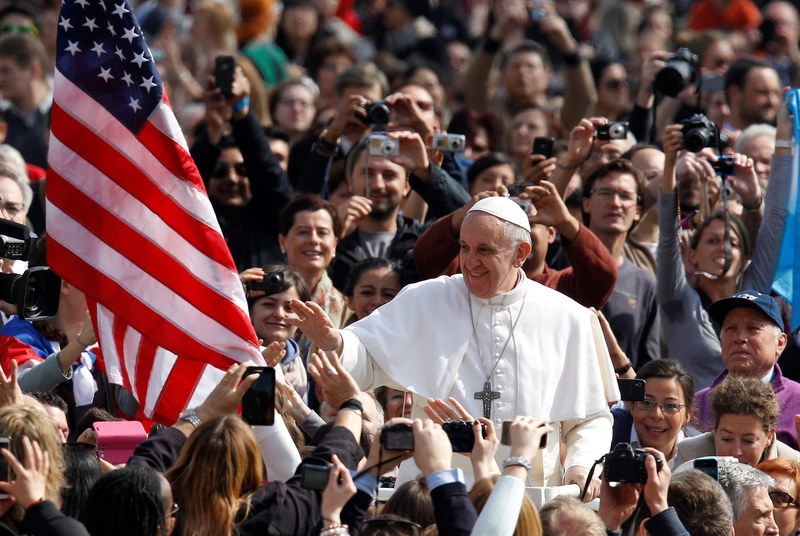 It is hoped that the Pope’s intervention will have a lasting impact on world leaders and the need to take greater care for our greater home. This entry was posted in Fundraising by CAFOD Plymouth. Bookmark the permalink.